Online Registration is currently closed. However, you can still register on-site! Online Registration Closes Monday, March 20. Pre-Register and SAVE TIME ON-SITE! 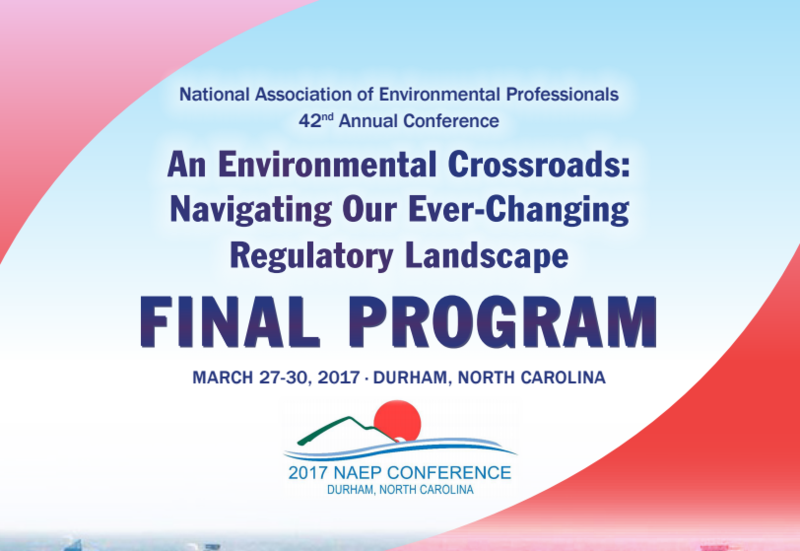 View the NAEP 2017 FINAL PROGRAM NOW! Conference registration fees for 2017 have been held at the 2016 levels! SPONSOR THE NAEP 2017 CONFERENCE TODAY! FOR MORE INFORMATION ON SPONSOR BENEFITS AND TO BECOME A SPONSOR- CLICK HERE! For more information on Sponsor and Exhibit Opportunities please CLICK HERE.